Now what does this mean for the future of gaming? Well, in my opinion, it just means to make the gaming world more impressive. I don’t think the intention is to wipe out Microsoft, Sony, or Nintendo. Those companies are megaliths of the industry, so I highly doubt it’ll put a dent in their revenue streams. The idea that the system is going to be using a ‘free-to-play’ and mobile business practice model is entirely up my alley! I think I had a dream like this once… so glad it’s coming true! I love hearing the word ‘developers’ used when discussing consoles. I think often times there’s so many hurdles to jump through to get a game onto a modern console these days. Developers feel intimidated by the high cost of publishing rights and the loss of artistic freedoms vs. company control.It’s no wonder that, in this day and age, mobile game development and the Android market system look so appealing. The company will take a 30/70 percent split for any game you produce and want to port to console. This, to me, is fantastic. Here’s why. You get to craft and develop a game for Android software, which is a highly accessible marketplace. As a developer, you’ll be pulling 70% back in revenue towards any sales of your game. This blows my mind folks! Considering that there’s no manufacturing fees, no hardware fees, etc. because all of the games will be digital download/free to play streamed it makes so much more logical business sense from a development stance. If you cut out certain expenses, you can reduce the size of fees, and increase the productivity and quality of development. The specs don’t look remarkably fantastic, which is a bummer. Sleek, refined, and shiny – seriously what else do I need? If you’re a developer hoping for some Sony PS3 style next-gen graphics engine, then you’ll probably want to stand in line waiting for a publishing house to clear you. If you’re like me though, and a newbie developer, this is the greatest thing since sliced bread. It’ll give me a chance to bring designs into folks homes, rather than porting them to flash computer sites. Mark Bartlet, President/Founder of the AbleGamers Foundation, coined this term two days ago in an article he wrote for their site. I couldn’t be more in agreement with his statements, and if you want to read the full article you can. Essentially, Barlet discusses the term of ‘accessibility’ and sometimes how that term can make development seem difficult, frustrating, and down right hard. He decided at a recent conference that he’d try and devise a different approach to how developers look at games and coined this term. 1. Making sure content includes everyone, regardless of ability. 2. Design so that everyone can enjoy and appreciate the fruits of creative labor. 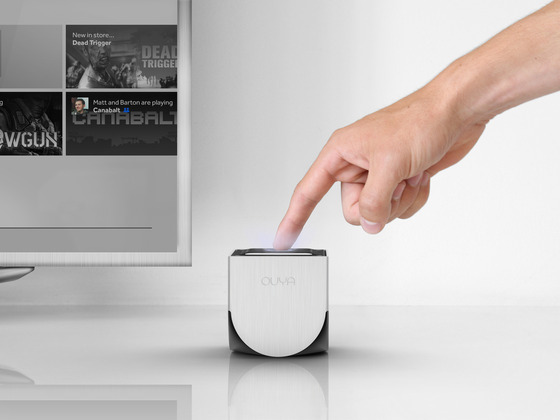 In the case of the Ouya, I see tons of potential here to be played with. The idea that the entire system is open to tweaking and hardware reconfiguration, peripherals can be toyed with, etc. It’s like a game developer’s LEGO set! I think if the Ouya staff, and future developers for the console, focus on the idea of includification the console will succeed. The games, and hardware, need to be versatile – flow with the accessible punches so that it doesn’t become an ‘exclusives’ war like the major console brands. If I were designing for the Ouya, I’d be design for kids like him. Inspiring! Gaming should be for everyone, and if developers and hardware designers can work together I don’t see why games can’t include ALL types of players. I can’t wait to see what comes of this system, and you’ll bet I’ll probably own one at some point. The price point is set at around $99.00 at the moment, and that’s a wonderful price for the plethora of games they wish to display near launch time. There seem to be tons of major developers in support of the project, and so I can only say I’m one of the indies waiting to get my hands dirty with this new IP. Developer Profiles? Well that just makes it all the more impressive! Here’s to you Ouya! You’re shaking up the status-quo and I hope that it brings game development to new levels! You’ve already raised up past $5 MILLION dollars with 3 WEEKS to go – so RUN with these funds and MAKE it happen! THIS DEVELOPER would love to see it in his living room – that’s for certain. If you believe that the Ouya is the future of in-home gaming – feel free to stop by their Kickstarter and dump a little love to their console dreams! Now I’m all about exploring the newest technology on the market, and Sony brought out something that truly caught my eye. If you’ve been following my blog for any length of time, you know my love for spreading education via the virtual video game experience. Well Sony seems to be on the cutting edge of the educational ‘gamification’ movement with their new tech they rolled out called the Wonderbook. 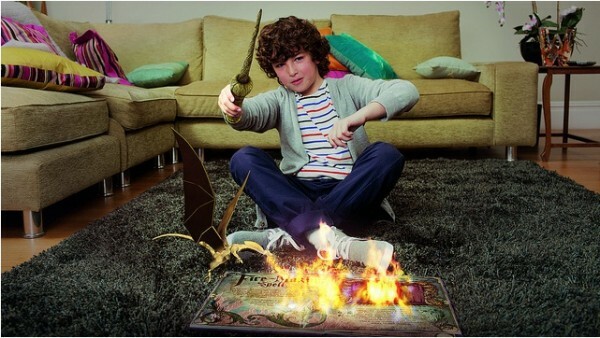 Now what exactly is the Wonderbook? Well from what I understand they’re going to be actual interactive books that correlate with the Playstation Eye and using the Playstation Move to interact with the product. How cool is this idea? Well you better believe the little kid in me is squealing with excitement! Especially due to the first major author that’s signed on to do a Wonderbook: J.K. Rowlings – HARRY POTTER ANYONE?! That’s RIGHT! 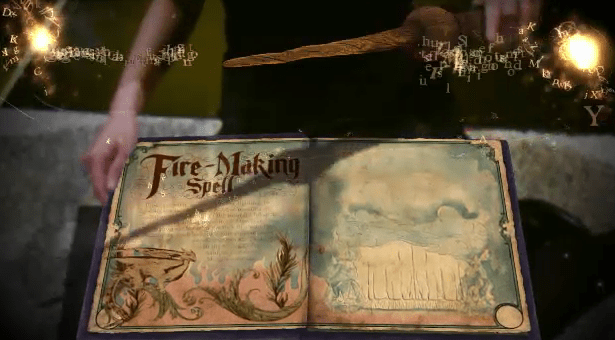 Rowlings has helped to devise a wonderful interactive storybook, The Book of Spells, that will take the reader into in-depth to NEW content by Rowling herself! Players will get to experience the Harry Potter universe like never before, and I personally can’t wait to see what they’re going to be capable of with this. You’ll see in the demo that they do have some technical glitches, but hey it’s the initial stages of what I believe to be a wonderful product. There’s always going to be some hiccups – that’s what demos and Q&A testing are for. Well now knowing that what do I expect from Wonderbook going forward? Wonderbook definitely seems to be aimed at a younger crowd [ family and youth ] but I see a lot of potential here for some classic works. There’s so much educational potential here. Can you imagine books like Dr. Seuss? Sesame Street? Where The Wild Things Are? Interactive reading isn’t new by any means, but Wonderbook brings two of my favorite things together: reading and video games. Disney used to provide interactive software for PC long before Sony began bringing this out, but there’s far more personal engagement provided via Wonderbook I’d imagine. I loved my 90’s Disney Interactive software, but Wonderbook conceptually feels much better. Teachers may even benefit from having PS3’s in their classrooms now, and using Wonderbooks to teach classic novels to students. The interactivity provided by video game mediums provides new, exciting, and exhilarating memorable experiences for players. The comprehension and excitement of reading might be sparked with enthusiasm via the way Wonderbook delivers this new material. If there are adults out there wondering, “Well, wait, so is Wonderbook only going to be for children and families?” – it certainly looks like that, but I can tell you folks with confidence that there are tons of companies that host more to teenage and adult fair that are interested in the Wonderbook technology. In fact, I’ve done some snooping around and it sounds like BBC America is totally interested in getting in on the Wonderbook vibe. If the idea of Stephen Moffit reinventing Doctor Who for an interactive reading material isn’t cool, then you may direct yourself to a TARDIS right now and jettison yourself into a time vortex! Can you imagine books like: The Hitchhiker’s Guide to the Galaxy, a Dr. Who novel based on the Whoniverse – Daleks, Cybermen, Fallen Angels, etc. or who knows – Game of Thrones? Lord of the Rings? A Whovian Experience like NO OTHER?! The choices are endless and I hope to see some of these come to life for real. They most likely won’t be out this year, and it’ll probably be a 2013 release – but I’d be willing to wait for such literary enjoyment. I’ve never been much of a Playstation Move supporter, but you’ve won me over Sony! Congratulations, now I’ll be Move supporting – as long as you continue to use your Move technology for the benefit of educational mediums. Well it’s becoming an age of digital exercise isn’t it? The outdoors has become a scary vortex of something called ‘sunlight’ that burns the skin of nerds everywhere isn’t it? Well have no fear! The superheroes over at Microsoft and Nintendo intend to keep you agoraphobia ridden folks happy and healthy with their newest edition to their exercise video game roster. 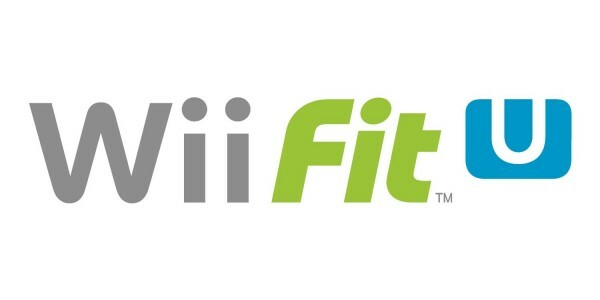 Microsoft has teamed up with Nike, and Nintendo intends to expand their Wii Fit program. I personally have never been one to think that my video game console could be used as a digital trainer and assistant in my health program, but I think I’m starting to see a trend here. Couch potatoes be damned – the exercise games have come full circle so prepare to get your butts moving instead of your fingers children! Hey – they’ve got shoes, why not have a game that uses them? How to start this then, well let’s look at the general use of video games as a participant in our physical activity. It sounds like a neat idea right? I mean, sure, for years I thought the only use for my console was to train my thumb muscles and brain to protect me from zombie attacks. I’m now realizing that with these added games on the market, I might actually be able to work out more than my thumbs. I personally never got into this idea, because I felt like it was just going to be a gimmick sale and that it would pass just as fast as an old high school fad. I was wrong, oh so wrong. Wii Fit U – so U don’t have to! So let us begin shall we? Compete with your friends online. This way you don’t feel self conscious. Well they did it. Microsoft really impressed me this time. They joined up with one of the biggest juggernauts in workout apparel and content, Nike, and managed to form a game around your personal health. Impressive guys. Impressive. I mean I saw what Microsoft had to offer with Active for Kinect, but I was still on the fence, because it didn’t seem as effective. Well Nike+ just set me straight and I can’t wait to actually get this game for my family [ of course this means I’ll actually have to buy a 360 now. Woo! ] It seems like, in comparison to other games, Nike+ will be a virtual trainer. It will help you keep track of calories, heartbeat, jump height, etc. It will track everything and for folks who are wishing to lose weight, gain a little more muscle mass, etc. can definitely benefit from seeing that rewarding progress tracker. Oh, and if you think that’s cool, you can port the info to your phone – to keep yourself on track on the go [ outside! ] I just ask that developers look at gamers of all kinds. Fat, skinny, mobility impaired, etc. We all need exercise to stay healthy, and we all need ways to participate in doing just that. Well Wii Fit. You’ve been the captain of the ‘in-home’ fitness genre for years now haven’t you? I remember my first experience with the Wii Sports Boxing and how much that used to make me feel like I’d had a real workout by the end of it. Well, with a new console, comes a new rendition of Wii Fit. Introducing Wii Fit U. 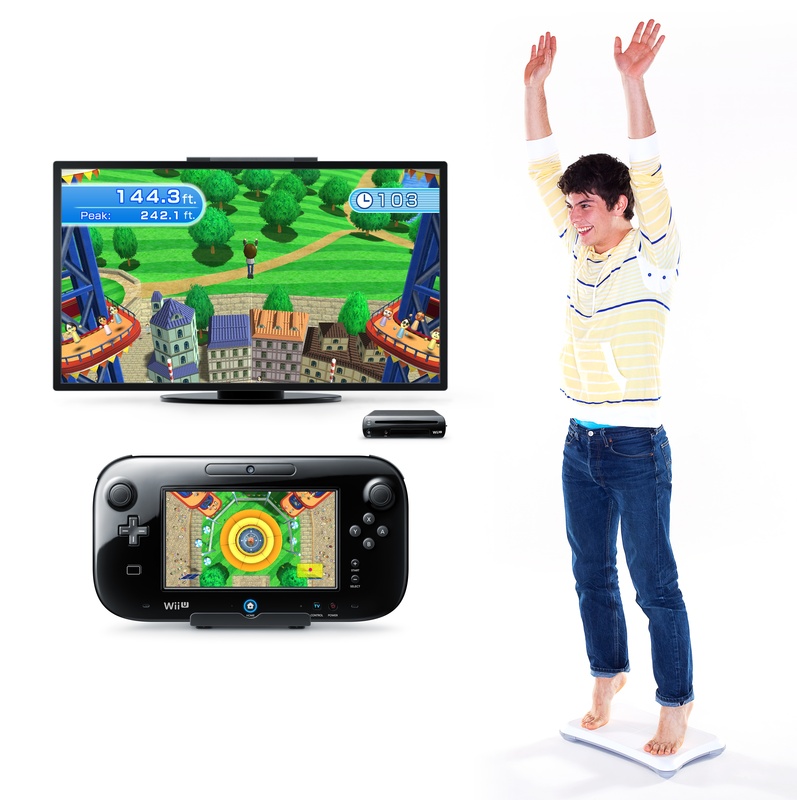 It seems as though it’s designed as an advanced version of the Wii Fit program, but with some added benefits. What I found that I loved about the Wii Fit U in comparison, was that it allows for mobile activity. What I mean by this is, say a friend wants to come over and watch a movie, but you’ve still got 5 minutes of workout to go. You can port the Wii Fit program from your Wii U to the controller and it’ll display on the screen. This leaves the main TV open for personal use by others. I didn’t see this in the Nike + Kinect Trainer [ but hey XBox Smart Glass might change this. Wink Wink Microsoft! ] The Wii Fit U also comes with a portable pedometer to carry around. It may not seem like much but that dual screen functionality is going to help! I’m not sure how much the Nike+ “fuel bands‘ cost, but I’m uncertain if one of them comes with Nike+ – Wii Fit U has the edge here. I will say, I feel like Kinect was more physically accommodating – but Wii Fit U gets the mobile usage edge at the moment. We’ll have to see later. Overall, I love that game companies want to get us all active. I’m excited to see these games affect our daily lives, but will these drag me away from games like AC III, Watch Dogs, or Black Ops II? Probably not, but I’ll be glad that they’re available for when I want to work out at home! So keep a look out for these – it looks like it’ll be a sweaty holiday season at this rate! Happy gaming folks! Much love to you all! Well I’ve done a lot of E3 coverage on the games lately, and I think it’s about time that we started talking a little bit of TECH don’t you? I also want folks to know that I’m an all inclusive gamer. I don’t want it to seem like I have a bias towards one company or the other just because I don’t happen to own a system to play games exclusive to it – SO let’s talk some XBox news shall we? What intrigues me about this concept is that Microsoft is realizing that gaming consoles are swiftly becoming hubs of peoples homes. Games are becoming more casual, movies are being streamed, music is being uploaded, and the web is practically a necessity in this generation of an interconnected world. So – how does Microsoft plan to answer this conundrum of how to provide all of this to mobile on-the-go families? 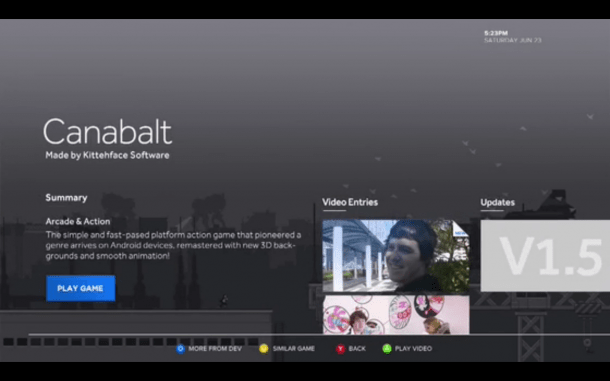 Wii shows off Wii U, but Smart Glass looks sharp for sure! The applications that you’ve seen above really grasped me. The idea that Microsoft will allow players to use their smartphones and tablets that they already own to interact with the 360 device is genius. They’re not asking for players to go out and buy a peripheral piece of hardware like they asked for when they released Kinect, but rather, they’re integrating their products into the already mobile lives of families and gamers. I’m sort of in love with this honestly. It’s not like I haven’t seen this before, in fact, this technologies been around for quite a while. I’ve seen integrated screen technology being utilized by Microsoft and Apple for ages now. 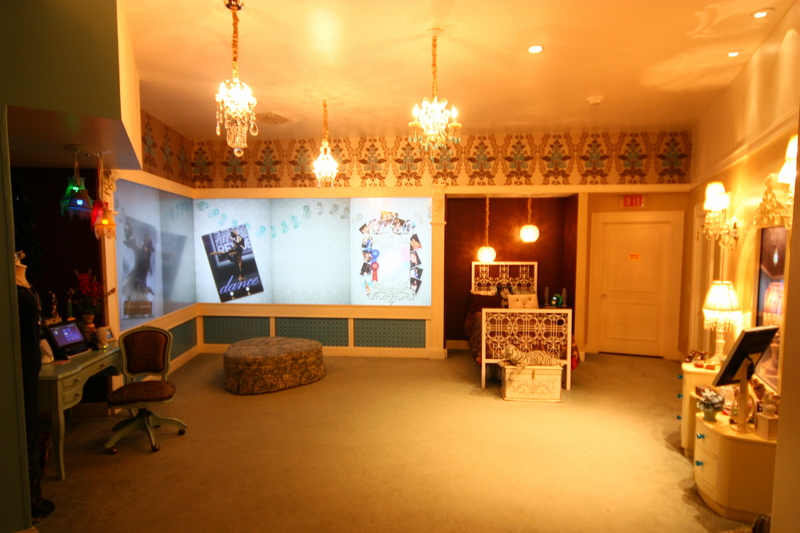 In Disneyland’s Innoventions – Microsoft and HP fully utilize the integrated screen technology within the Disney Dream Home segment. They opened the exhibit in 2008 – so it’s been around. It’s a fantastic look at the usage that Microsoft can get out of their software and integration technology. Honestly, walking through that home, sometimes I wonder why some of these integrations haven’t been fully utilized in games. Well now that looks as though that’s about to change. This is a girls room – look at how it customizes itself to the programmers interests! We’ve all heard about the voice command gaming using Kinect via Mass Effect 3 and other games, but what does Smart Glass bring to the table as far as accessibility? Well, here’s what I’m seeing. I see a gaming console that utilizes both voice controls via Kinect and touchscreen functions using your own tablet devices to bring a valued, immersive, and refreshing experience. All this would require is the download of an app to your phone or smartphone. Clearly you can see from the demo that these ideas may actually make games like Madden, FPS games, etc. more accessible for those gamers with mobility issues. Imagine if you were able to play an FPS via a touchscreen, while still being able to interact and play with friends who participate via controllers. I would also love to see if they’ll start utilizing PC/XBox/Android cross play in the future. This technology may soon be able to shrink the boundaries and difficulties that many gamers find in trying to become valued and integral participants with their fellow gamers. I thought for a moment that Wii U would be the leader in touchscreen gaming, but clearly XBox is trying to take a vast bite out of the newest console from their competition. I see so much potential in this that I can’t wait to pick up a 360 just to test out the future of this technology. I see a vast social and mobile aspect to this technology and I can only hope that Microsoft keeps up with this design! Way to go Microsoft – you just set the bar for console accessibility in my opinion! What are your opinions on the newest tech to be released by the tech juggernaut? Let me know in the comments below. How do you think this will change the face of the industry, accessibility for games, the way we design games, etc. I would love to hear from you all!